WHAT? 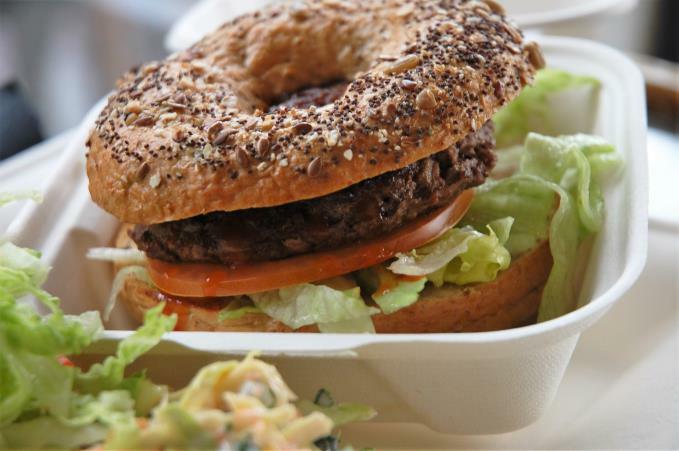 A clean-eating, protein loading, sin-free grub. WHO? 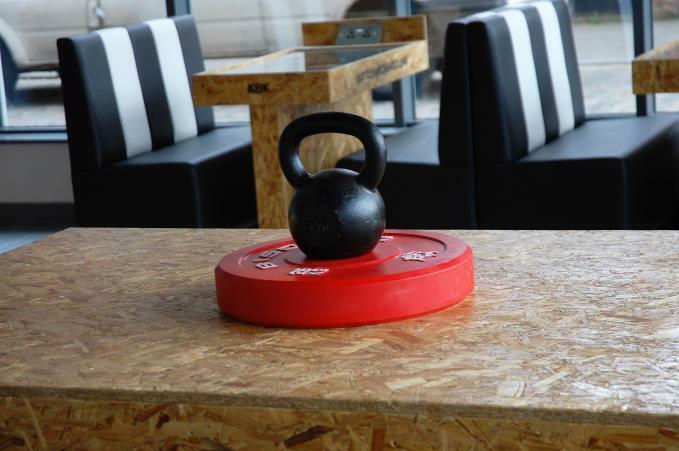 Carley Jones: a young entrepreneur and Herculean Crossfit enthusiast. 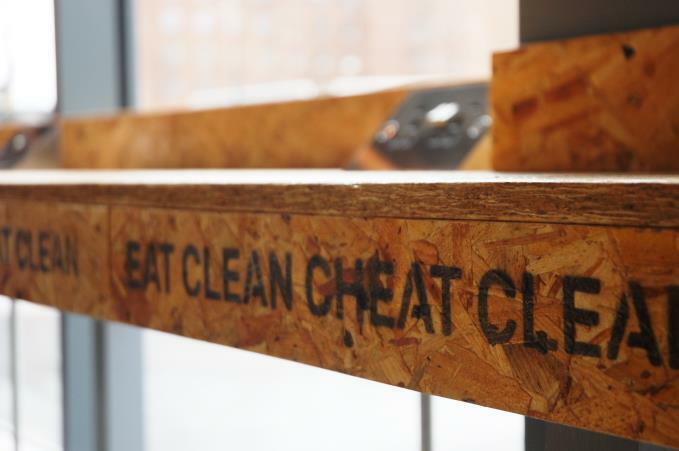 Manchester has been in desperate need of a health-kick up the bottom ever since the city succumbed to the burger pandemic, back when you'd find queues snaking out of Red Trues BBQ waiting for a sticky donut burger. Still, it'd seem too much of a bad thing calls for better, more virtuous options. 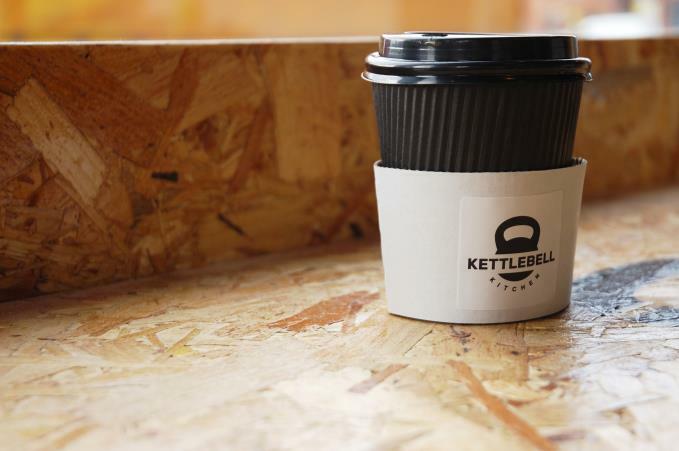 In comes Kettlebell Kitchen and its army of Crossfit-loving, protein-chuffing, weight-lifting, shake-drinking machines. 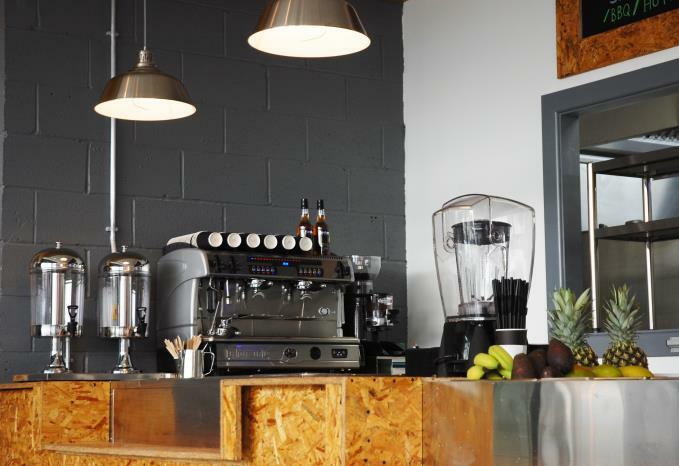 This new clean-eating café and fresh fast-food outlet claims to have our best interests at heart with a health-focused menu without sin. 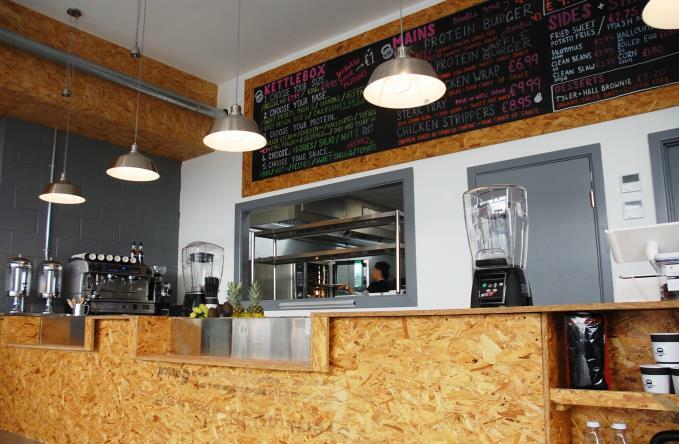 Owner Carley Jones (and the café's resident fitspiration) says it's fast-food without the chemicals, crap and need for obesity warnings. 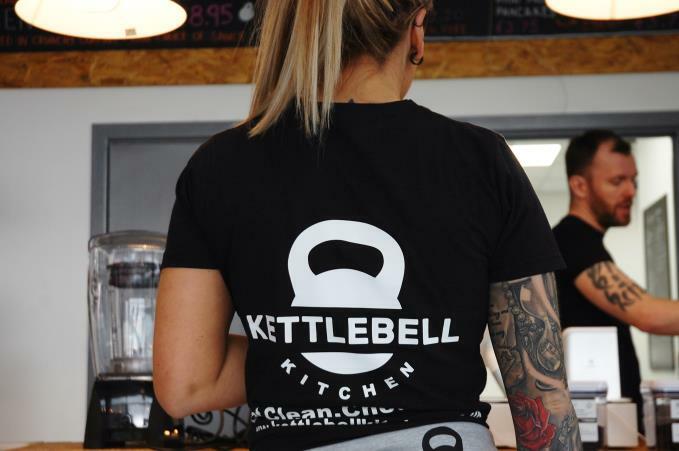 To cheat-clean at Kettlebell Kitchen means to dine-on 'protein burgers' and 'protein pizzas', helping muscles to repair after exercise. 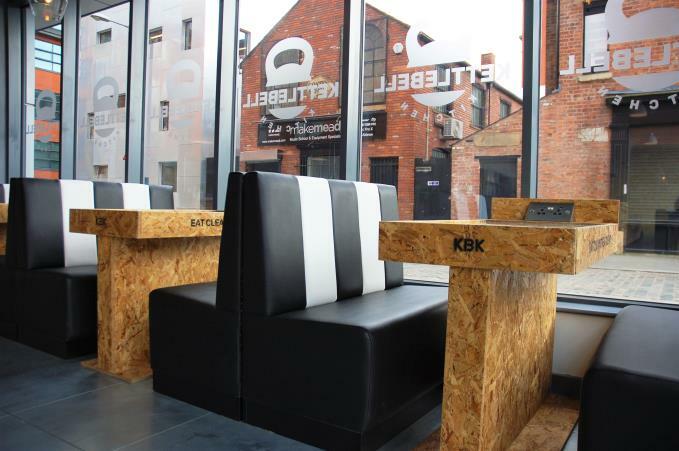 Similarly to other healthy lunch spots, like Wahu and Chorlton's Bosu Body Bar, Kettlebell Kitchen provides build-your-own boxes. You pick your protein: steak, chicken, turkey or a vegetarian option, then your base: cauliflower rice, brown rice, sweet potato mash etc, and then add veg. If you're ultra clean you can sip on their 'fitness water' filled with health boosting alkaline compounds. Prices sit around the £6 mark. 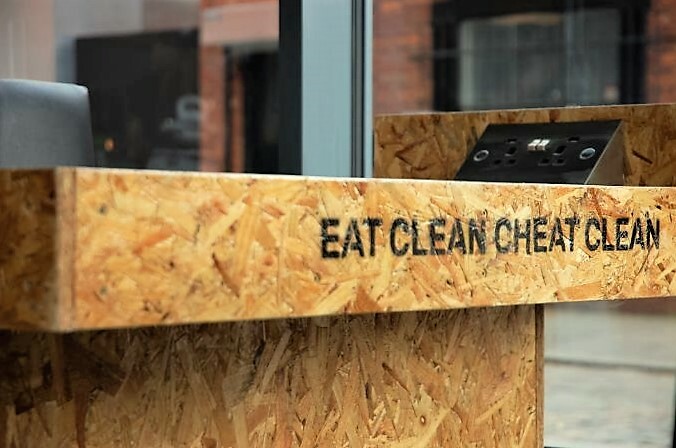 It all sounds rather satisfying and pretty darn good for you - we half expected kale lollipops and cucumber chips - still it'll be interesting to see whether delivering typically unhealthy food with a healthy remix will satisfy appetites. 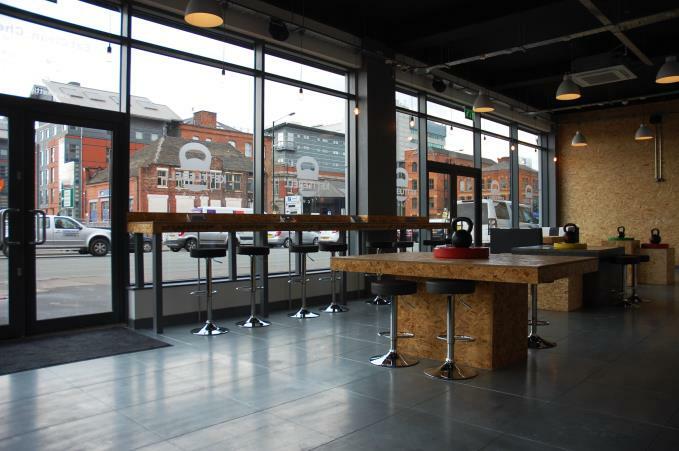 Based within Ancoats Nuovo building and decked out with gymnast rings, weights and kettlebells, it's easy to spot Kettlebell's target punter - they're 100m down the road in Pure Gym, for one. 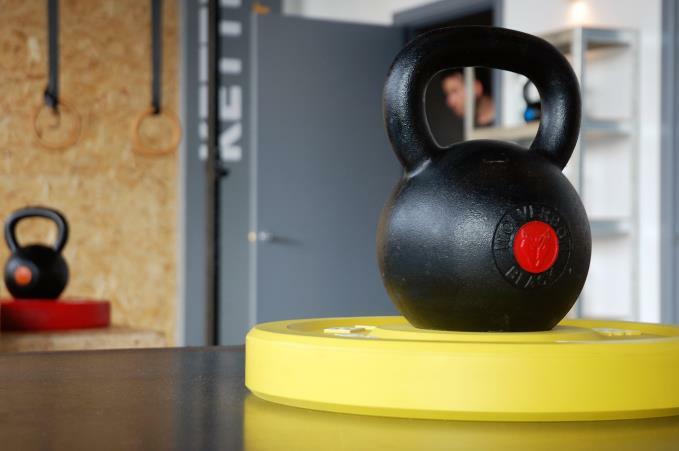 But unlike a gym nobody growls and grunts at you to do more reps, it also doesn't smell like a dirty jockstrap. 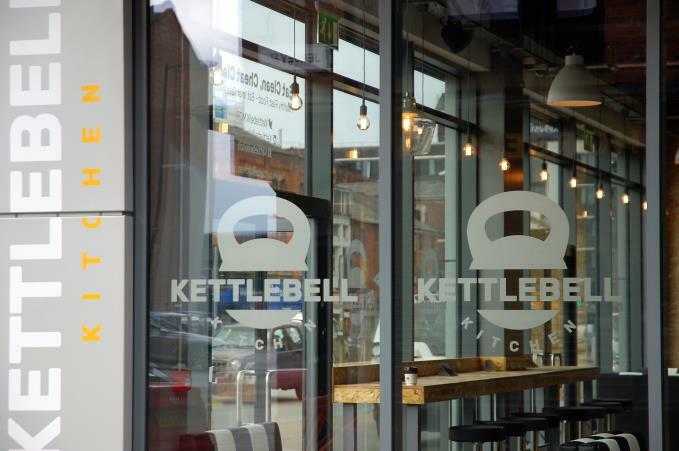 Kettlebell Kitchen is now open. 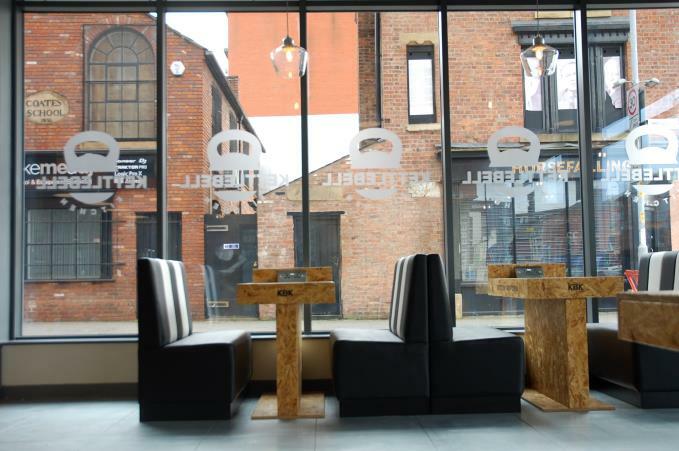 Find it at 5 Nuovo, Great Ancoats Street and here on Facebook.